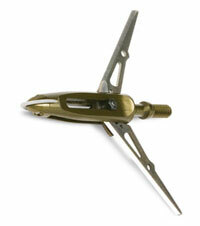 SUPER DISCOUNT - 10% off - promo code: "broadblade10off"
America's #1 selling broadhead. Wide-cutting, deep penetrating. N.A.P. Thunderhead REPLACEMENT BLADES - 125 Grain - by New Archery Products. N.A.P. Thunderhead REPLACEMENT BLADES - 100 Grain - by New Archery Products. N.A.P. Thunderhead REPLACEMENT BLADES - 85 Grain - by New Archery Products. Specially designed 3-bladed mechanical expandable broadhead for turkeys with bone-crushing power to handle even the biggest gobbler. N.A.P. 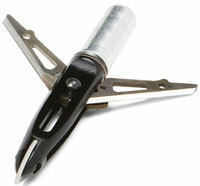 Gobbler Getter REPLACEMENT BLADES - 125 Grain - by New Archery Products. 9 Blades & 9 Retention Clips. N.A.P. Gobbler Getter REPLACEMENT BLADES - 100 Grain - by New Archery Products. 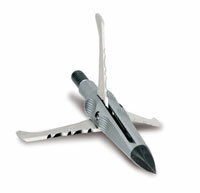 3-bladed mechanical expandable broadhead with bone-crushing power to handle turkeys and other big game.